Calaveras County, California is an adventure lover’s wonderland. In only a few hours, you can go ziplining, rappelling, caving, hiking, bouldering, and swimming. Adventures from mild to wild are appropriate for all ages. 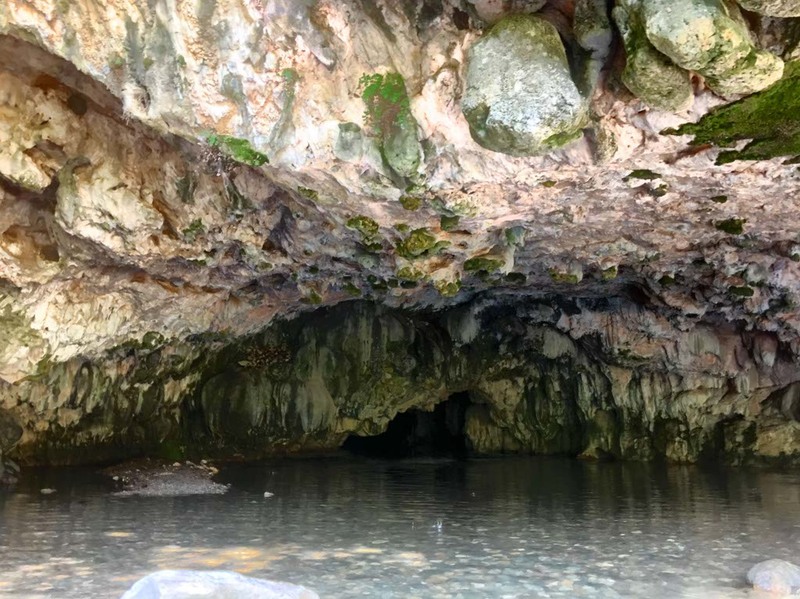 I visited Moaning Cavern Adventure Park and Natural Bridges for an afternoon of extreme fun, extreme adventure, extreme heat, and extreme cold. Moaning Cavern Adventure Park offers thrilling activities at 4 unique locations, including twin zip lines, wild cave expeditions, bouldering, and a 165-foot rope rappel in a cave. They provide all of the equipment and expertise for hassle-free fun and no experience is necessary. When I arrived, it was 106 degrees outside and the heat was sweltering. I opted not to try the bouldering since I couldn’t take climbing directly in the sun, but I tried the ziplining and rappelling. First up, the 1500-ft Twin Zip Lines. I was pleasantly surprised to find out that they have a tandem zip option where children can ride with adults. Although Athena wasn’t with me, I was excited about the possibilities. I thought it would be years before I could take her for her first ziplining adventure. I’ll have to return with her again soon. For now, I could fly freely! I received my harness and I was driven to the custom sky bridge and launch tower. After a brief introduction, I zipped 40 mph over the rocks and tress below. It was exhilarating. No matter how many times I zip, I will never tire of it. 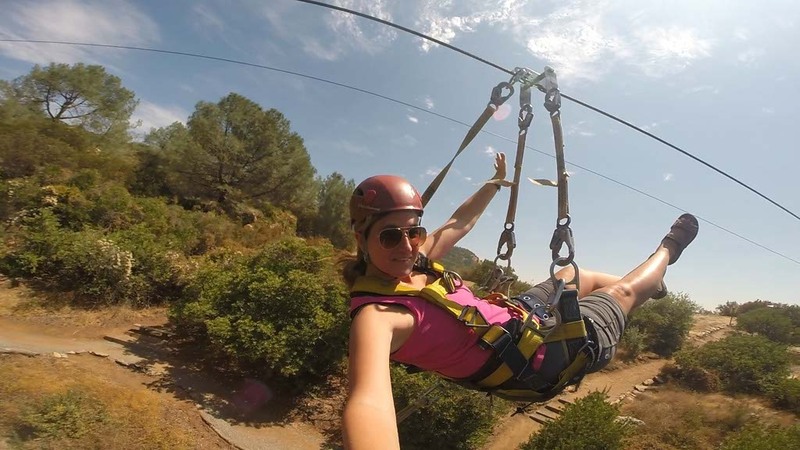 Moaning Cavern zipline has a self-breaking system so there is no need to break at the end. I prefer it this way so I can fly freely, letting my arms go and lifting my head to the sky even as I approach the landing platform. Even the heat couldn’t stop me after ziplining. My heart was pumping and I was ready for more. I have lots of experience rappelling but this was the first time I rappelled into a tiny hole in a cave. What I anticipated and what I experienced are two totally different things. Moaning Cavern Rappel is way better than I expected. It was the highlight of my day as I descended into darkness. I knew that the rappel was 165 feet but as I looked down into the cave, I didn’t understand how. It wasn’t until I reached the first level and I had to slide my way through a tiny opening that I fully grasped the size of the cavern. Once I was through the hole, the cavern opened up and another layer of underground world awaited. I rappelled another fifty or so feet before the wall disappeared and I was alone with the rope. Stalactites and stalagmites surrounded me and I stopped feeding the rope so I could marvel in the situation. I was literally hanging out in a cavern above and below the other guests. At the end of the rappel, I was in the cavern. 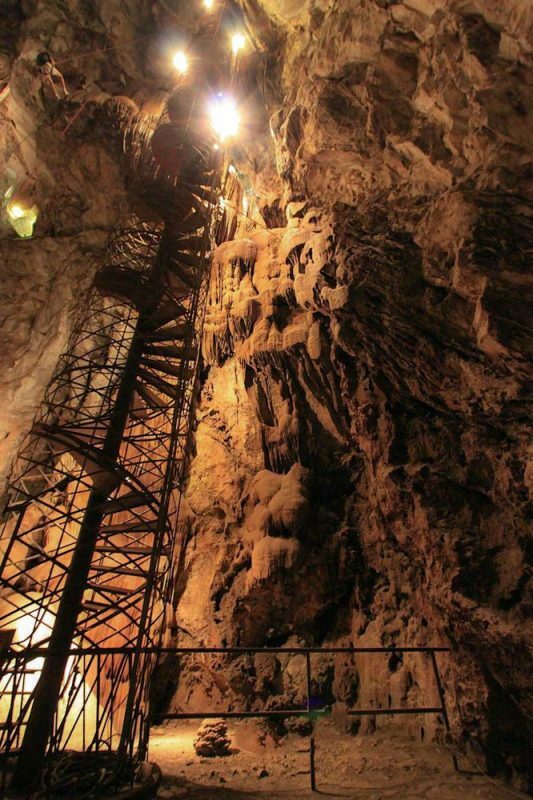 I exited the cave via a spiral staircase. I was so excited from my adventures that I climbed with ease while still taking in the unique beauty of being underground. All of this and my day still wasn’t complete. The Natural Bridges trailhead is only a short drive from Moaning Cavern Adventure Park. I cranked the air conditioning in the car and drank plenty of water before starting my next adventure. 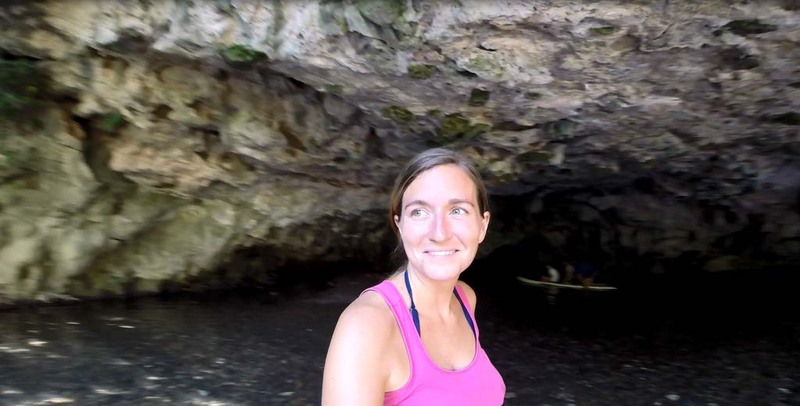 Natural Bridges is a one-mile hike downhill that leads to a stream flowing through a limestone cavern that you can float or swim through. The trailhead begins near the public restrooms and there is plenty of parking. I looked at the temperature gauge in the car before I started the hike. It was 109 degrees so I lathered on the sunscreen and packed an extra bottle of water. The trail was entirely downhill, which meant that coming back was going to be difficult. A well-trodden path led the way and I greeted other guests as I made my way toward the water. The first bridge was huge and I couldn’t see through to the other side. I was hesitant to swim all the way but I met a lovely lady who let me use her inner tube while she hung out with friends along the water. She was a friendly Canadian and warned me that it was extremely cold, especially in the center of the cave. I could already feel the chilly water on my feet but I was going to brave it anyway. Grateful for the tube, I sat down and started paddling my way into the dark, deep cave. Freezing water dripped on my head and shoulders and I quickly forgot the soaring temperatures outside. It didn’t take long before I could see the light at the end of the tunnel and I paddled all the way through. Children were in the cave with their parents and I started to miss Athena. She always makes me see adventures from multiple perspectives. You see and experience so much more when it’s through the eyes of a child. I took in the moment and continued on my journey. The walk back was exhausting yet rewarding at the same time. I thought about all that I was able to experience in only a few hours and I was grateful for every minute. The struggling while hiking or enduring the heat made the adventure even better. Calaveras County has many more options for adventure including state parks, biking, fishing, horseback riding, and panning for gold. I experienced ziplining, caving, rappelling, and swimming in one afternoon. Imagine what I could experience in a weekend or an extended vacation in Calaveras County.